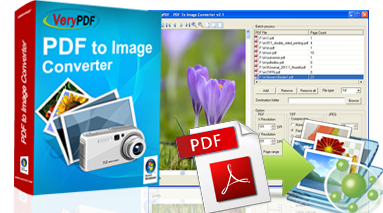 PDF to Image Converter COM is a component for converting PDF documents into single page or multi-page raster images such as TIFF or JPEG. It is mainly developed for developers who can use it in web, TIFF-based DMS solutions, archive and workflow systems and the protection of PDF documents. How to test PDF to Image SDK? The following are some command line templates for calling "PDF2TIF_CMD.exe". Double click "pdf2tif_cmd.exe" software; select one or several PDF file, and click OK button, then your PDF file(s) will be converted to image files. Open VB or VC example project in VB or VC development environment, compile and test PDF to Image SDK directly. If you need to know more usage and functions, please check details on PDF to Image Converter COM user manual. package as there are more examples saved in it. How to call PDF to Image Converter COM from VB? cdialog.Filter = "PDF Files (*.PDF)|*.PDF"
TIFFFile = Left(myPath, Len(myPath) - 4) + ".tif"
Create single and multi-page images files from all version PDF files. Optimize the image quality or file size by many types of compression methods. Support batch conversion by command line. It covers all the functions of PDF to Image Converter.